The Winchester USA Ready ammunition has been built around the most popular calibers. 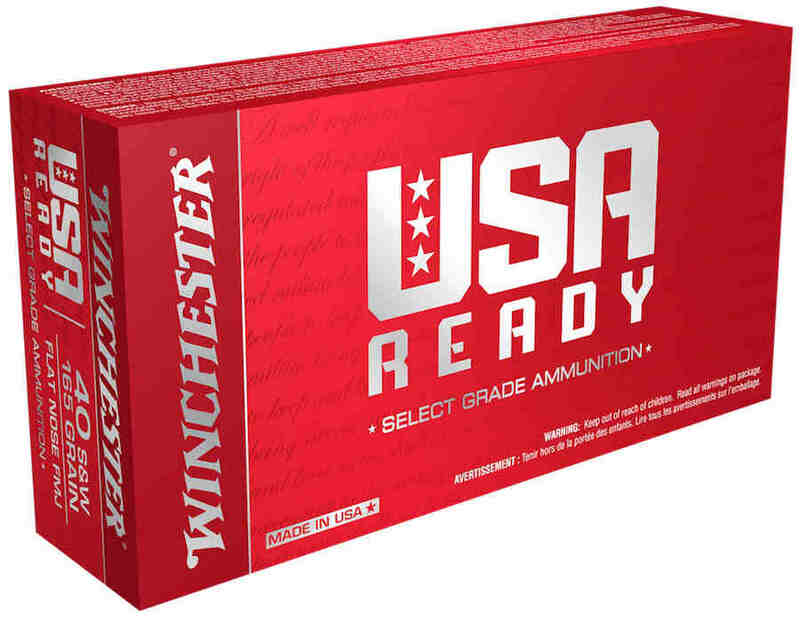 The new Winchester USA Ready ammunition is manufactured with higher quality components than the company’s previous White Box and USA Forged training ammunition lines, and is marketed as “select grade.” USA Ready ammunition comes with polished brass cases, match-grade primers, lot controlled ballistic data (found at Winchester.com/USAREADYINFO), and select open-tip or flat-nose copper jacketed bullets. The new Winchester USA Ready ammunition will come in 50-round handgun boxes, and 20-round rifle boxes. However, Winchester will also offer USA Ready ammunition in bulk cases containing 500 rounds of handgun ammunition, and 200 rounds of rifle ammunition. Winchester uses much higher quality materials for its USA Ready handgun and rifle ammunition. USA Ready handgun bullets have a flat-nosed design, even in 9mm which traditionally has a conical tip for training ammunition. The USA Ready bullets has been labelled Winchester’s most accurate range bullet, and are their engineered profile is touted to improve accuracy and reliable feeding. For shooters who routinely use both 9mm and .40 S&W, necessary safety precautions will need to be implemented to avoid ammunition cross-over. The new Winchester USA Ready ammunition appears to be an excellent selection for training or even competition shooting. 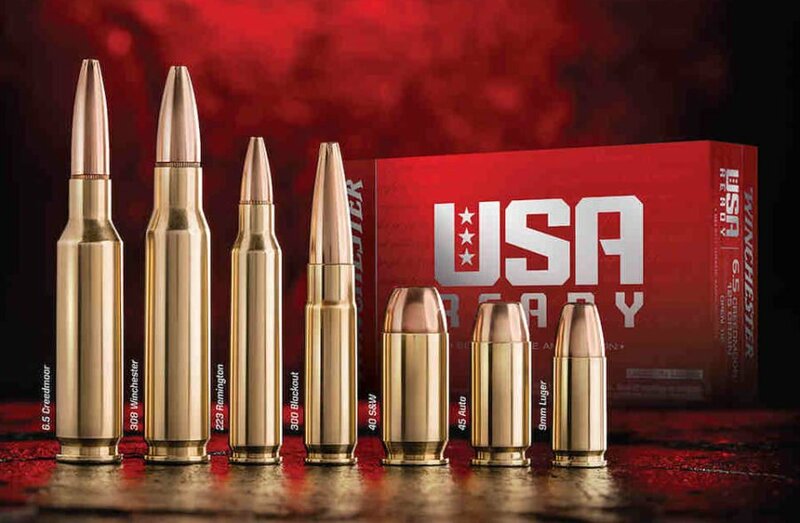 Unlike other lower end training ammunition selections, the USA Ready ammunition makes improvements in both material selection and bullet design. Though we have not had the opportunity yet to try out the Winchester USA Ready ammunition first hand, everything we’ve seen so far indicates this could become a go-to training ammunition. It is extremely frustrating to get excited about shooting, only to arrive at the range and find the ammunition you selected is unreliable. The new Winchester USA Ready appears to remove any doubts about its reliability, and even improves accuracy through specially designed bullets. If you get a chance to use the Winchester USA Ready ammunition, let us know what you think in the comments.